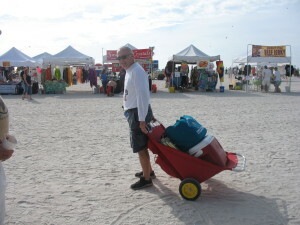 While you’re thinking beach and vacation, you’ll love our utilacart beach carts and the wonderful colors they come in. you got the picture; you’ve been there, done that. But the devoted beach~goer in us wouldn’t give it up for a world of annoying gnats at our picnic spread. Enter the super hero of the day the utilacart: the beach cart on wheels to master that sand as you move triumphantly over those mounds of gritty terrain. You will be ask over and over where did you get that cart.